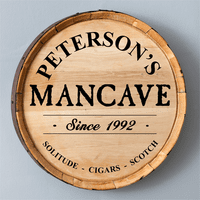 FEATURES/SPECS Do you know a golfer who's man cave could use a little sprucing up? 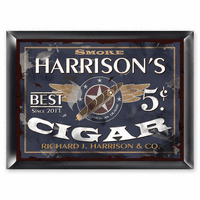 Well turn their man dwelling into their own personal 19th hole with this vintage style personalized bar sign. 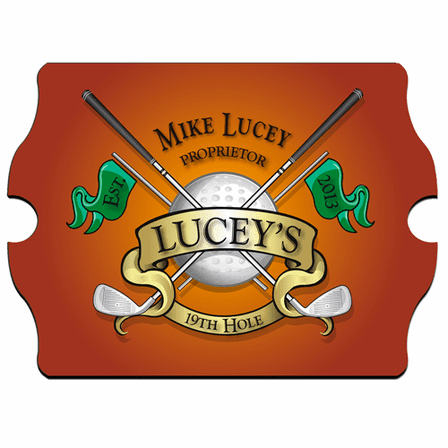 Made of composite wood, it has a vibrant, full color printing of a golf ball with a pair of crossing golf clubs in front. Add the recipients full name and they'll be listed as the proprietor of their establishment. Their last name will also be printed on a banner in front along with the year established. 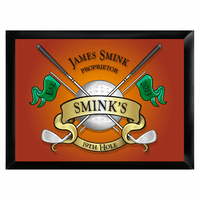 This personalized golfer's pub sign will be the finishing touch their man cave needs! Comes painted with the words "19th Hole"
How do I get to see what my sign would look like? We don't have a preview option for our pub signs, sorry. 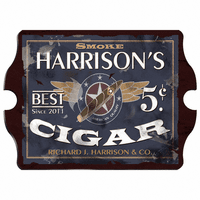 We do show a sample of the sign with sample personalization. Your personalization would be done the same way as the sample show.